A knowledge base is a centralized repository of information. Specifically with Information Technology, a repository is a database that is used for the sharing, storing and organization of data, objectives and other information. 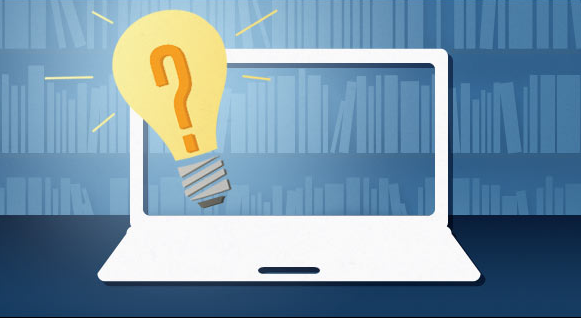 Today, there are several different types of knowledge base software available. However, business owners should consider this type of information storage as an investment because business performance can receive a huge boost from its use. If you are a business owner interested in learning more about the best knowledge base software for your business, keep reading below. HelpDocs promises to help customers successfully use your product, whether that product is a senior care franchise or an actual product. The knowledge base software helps to drive down support ticket volume by guiding customers through a fully-featured knowledge base. This software allows you to try it out for free with a 14-day free trial that does not even require a credit card. HelpDocs logs searches, feedback and views to help your company identify customer difficulties. If you want to try one of the knowledge base solutions that integrates with top customer support and team communication software, consider HelpDocs. FreshDesk is the knowledge base software you need if you are looking for an affordable, multi-channel solution for your business. This database program offers a user friendly platform with customizable integration of other services. Additionally, FreshDesk offers easy ways to categorize and grow your knowledge base. This is a great options for start-ups or growing businesses who want an adjustable knowledge base for a reasonable price. ProProfs is a popular knowledge base program amongst educational organizations and businesses because it provides study and training tools for students and new employees. This enterprise service is ideal if you are looking for highly organized data options. ProProfs allows you to create a table of contents for your most important data so that you can always keep track of what goes where. If you have a lot of information to share with a well-structured presentation of content, stop wasting time. ProProfs is for you. Novo Solutions is the knowledge base software for customer-centered businesses. With a fully searchable knowledge base, employees and customers alike can find the exact information they are looking for. With customizable user roles, you can ensure that everyone has access to the appropriate data to help maintain security. This way, you can rest easy knowing that your customers have access to the information they need. If you want your customers to have access to assistance 24/7, this is the best knowledge base software for your business. Bloomfire is a knowledge base program that is designed for companies that need to easily integrate their existing programs, data and tools. Bloomfire adapts to your needs and can easily become a vital part of the business process. Its intuitive interface and powerful search engine are excellent bonuses too, especially for those in the healthcare industry. For a program that inspires engagement and improves productivity without interrupting the work flow, consider getting Bloomfire. Tech Excel is a pricier knowledge base software for those businesses that want a little bit of everything. With over 100 built-in templates for on-demand reports, an automated framework and a self-service portal, Tech Excel can help make knowledge flexible and accessible to your team. It will also make customers less likely to complain about the goods and service tax for your product. Their knowledge management is accompanied by a variety of easy-to-use help desk activities for you to enjoy. If you want something more advanced, consider Tech Excel. Knowledge base software can help to improve business practices in many ways just like health insurance for small business. From making customer support easier than ever to increasing productivity, these programs have it all. Consider the best knowledge base software listed above as an IT solution for your business.